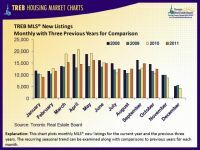 Another month has passed and Greater Toronto REALTORS® have released their report about October home sales in the GTA. The overall number of 7,642 home sales through the TorontoMLS® represents a 17.5 per cent increase compared to October 2010, with only 6,504 transactions. 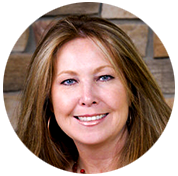 Monthly sales data should be cleared of a recurring seasonal trend before comparing monthly figures within the same year. After removing the seasonal trend, the annualized number of sales for October was 97,100, exceeding the average of 90,700 for the first nine months of 2011. Toronto Real Estate Board President Richard Silver suggests that the brisk pace of October home sales indicates a strong finish to 2011. “Home buyers who found it difficult to make a deal in the spring and summer due to a shortage of listings have benefited from increased supply in the fall,“ he adds. The average selling price through the Toronto MLS® recorded an eight per cent year-over-year increase, settling at $478,137. 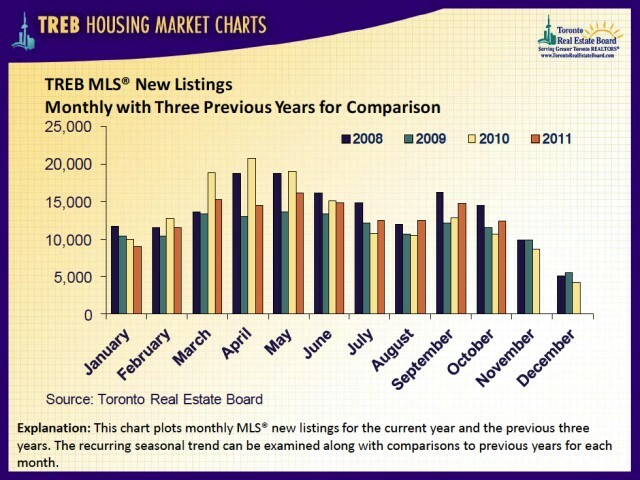 “Sellers’ market conditions remain in place in many parts of the GTA. The result has been above-average annual rates of price growth for most home types,” said Jason Mercer, the Toronto Real Estate Board’s Senior Manager of Market Analysis. Moreover, he says that low interest rates are the main reason why the relatively good affordability in Toronto and the GTA remained unchanged, even though the prices went up.